On one particular cold, dreary, winter day I decided we needed to get out and go somewhere. So we piled in the car and headed to Pet Smart for an impromptu field trip. Usually I can walk into that store and not come home with anything. This day, however, I couldn’t resist. The girls were so interested in all the fish! We left that day with a table-top tank and fish supplies but no fish. 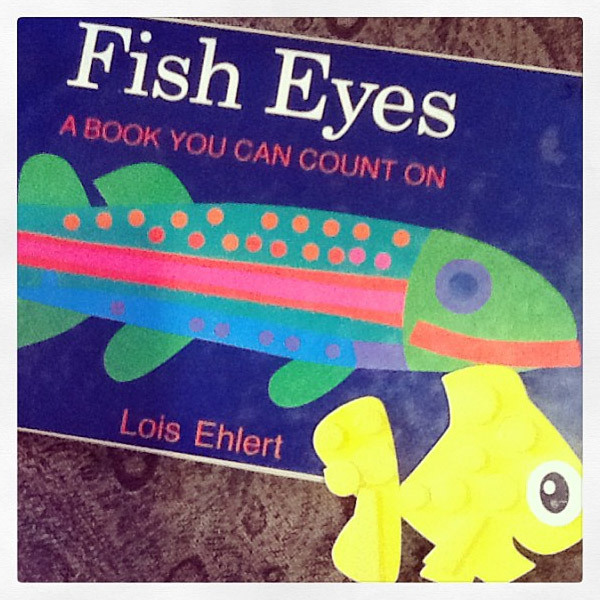 When I got home, I started planning our preschool fish theme. 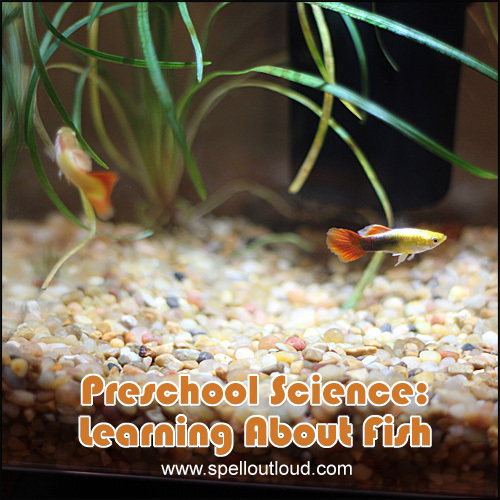 The first day we set up the tank and talked about what our fish would need in their home. My kids added the gravel, real plants, and water. We waited a day in order to prepare the tank environment. We added water conditioner to the water to help stabilize the environment (get rid of rid of any chlorine, ammonia, or chloramine) which hopefully would allow the fish to acclimate to their new home easier. Then we let the water sit in our table-top tank for 24 hours before going back to Pet Smart to get the fish. We decided to get guppies. 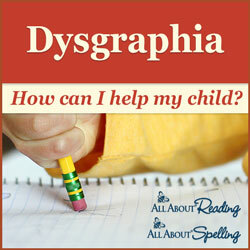 I like to introduce vocabulary while observing items. So while we sit and watch the fish, I try to bring up the following terms naturally. Once again I created a paper bag science journal for the girls to use. I really like this size booklet because it’s not too overwhelming for beginning writers and readers. 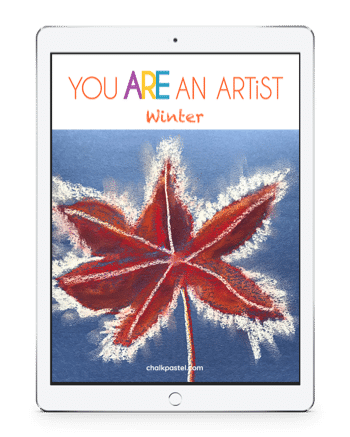 When asked to draw what they see, the size of the space on the page is not intimidating to fill. 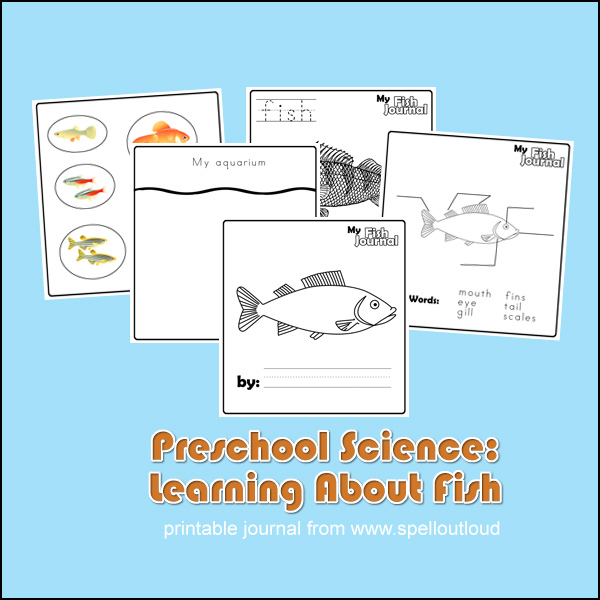 Click here to find exclusive fish journal printables and more! 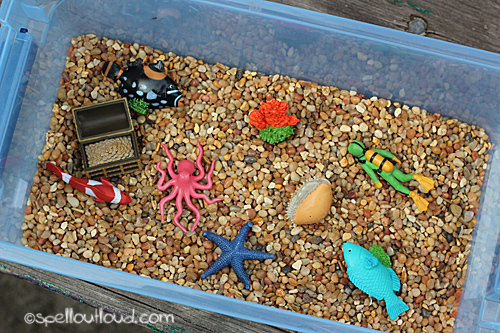 We had some left-over gravel from setting up our own aquarium so we poured that into the bottom of a plastic shoe box. 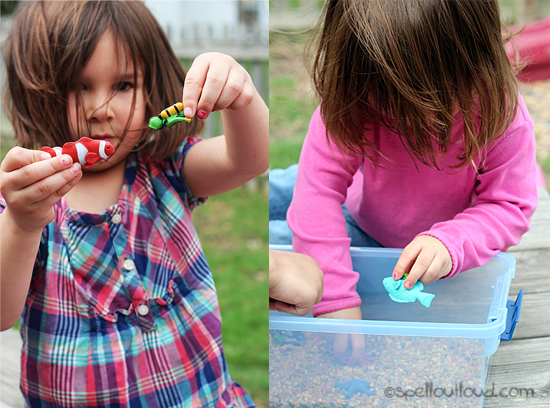 Then the girls decorated their own pretend aquarium using items from the Coral Reef Toob. 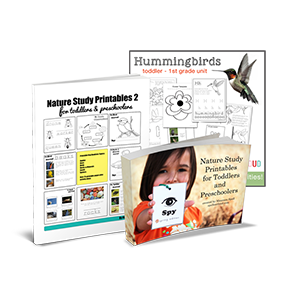 Though I did this activity more for my toddler and preschooler, my kindergartener loved it too! 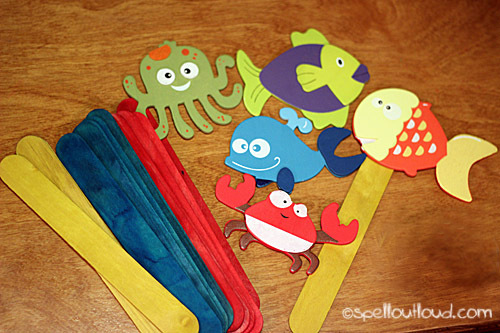 We also made Under the Sea stick puppets. Using wooden ocean-related items from Hobby Lobby, we glued each figure onto a colored craft stick. 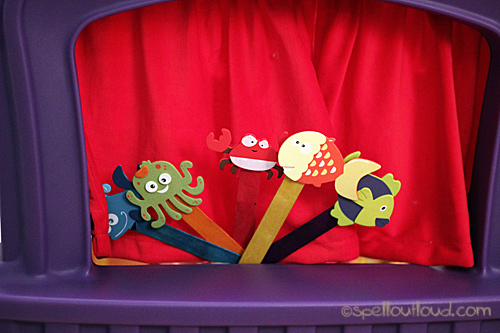 Then they used their stick puppets to produce their own fish-related puppet show! We are enjoying our guppies very much! And much to our delight, we also found a snail in our tank! It must have hitched a ride on the plants we put in the aquarium. 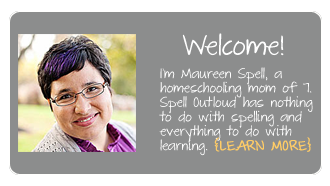 If you subscribe to Spell Outloud Let’s Learn newsletter, each month I’ll send out an activity or two that you can do with your children. 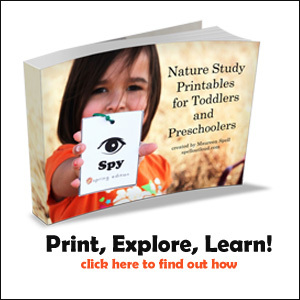 Many times exclusive printables and offers are shared there. Have you ever had a pet fish? 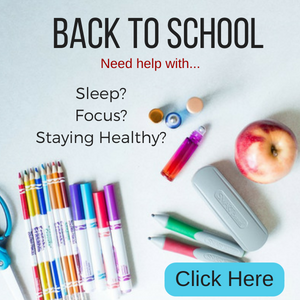 What kind? Great ideas. I just wanted to say that not all fish have scales. One would be a catfish.